Located in Aspen’s Core, (three blocks from the Silver Queen Gondola) situated on three levels with elevator accessing all three levels, open floor plan in the living, dining and kitchen areas, master suite located on this level, patio access from the dining room with outdoor dining table, gas fireplace and views of Red Mountain, rooftop patio with hot tub, three additional bedrooms with en suite bathrooms, Crestron System, views of Red Mountain, mud room, one-car garage and media room. 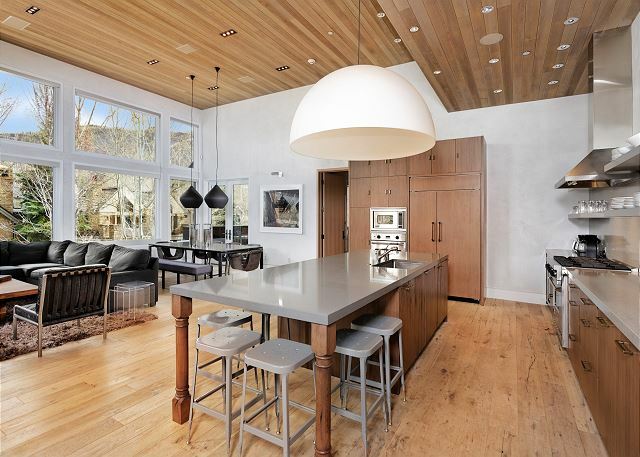 One of Aspen’s core townhomes with contemporary styling, this 3,526 square foot property was completed in 2009, boasts 4 bedrooms and has an open living, dining and kitchen area on the upper floor and white oak flooring throughout the residence. 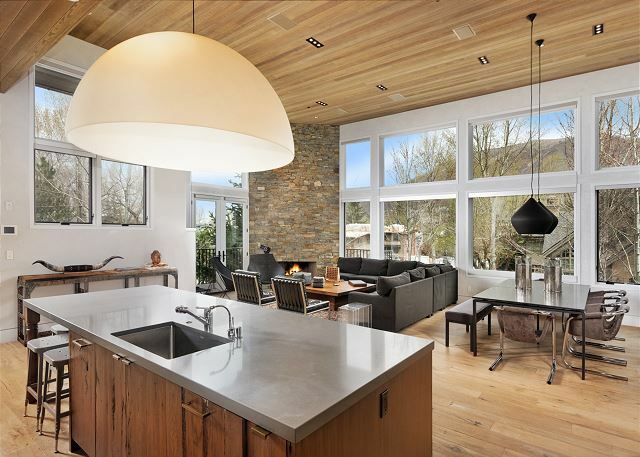 The open kitchen features a huge prep-island with bar seating and includes professional stainless steel appliances, Viking 6-burner gas stove and Sub Zero wine cooler. 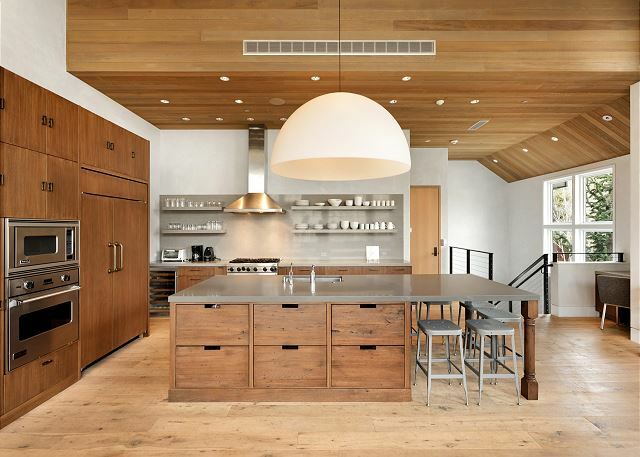 Accenting the kitchen with contemporary flare is the enormous dome light fixture above the center island. With 20’ ceilings and large picturesque windows, enjoy views of Red Mountain from the living room while relaxing on the sectional couch with warm ambiance from the gas fireplace. Top off your day with a great movie on the large flat screen television with some popcorn and hot chocolate. 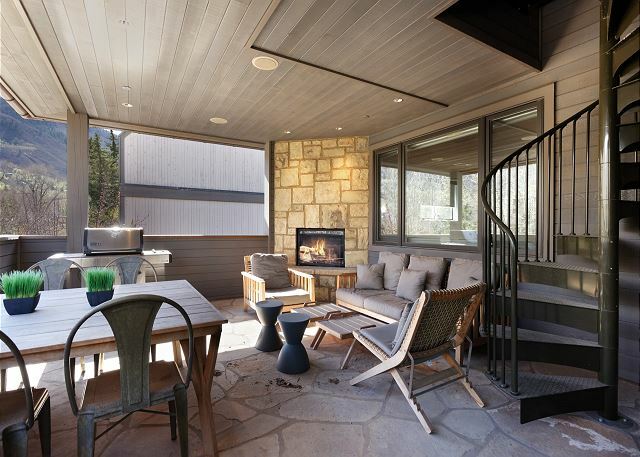 Entertain guests on the covered patio with views of Red Mountain, Weber gas barbeque, two seating areas with outdoor dining table and stone fireplace. 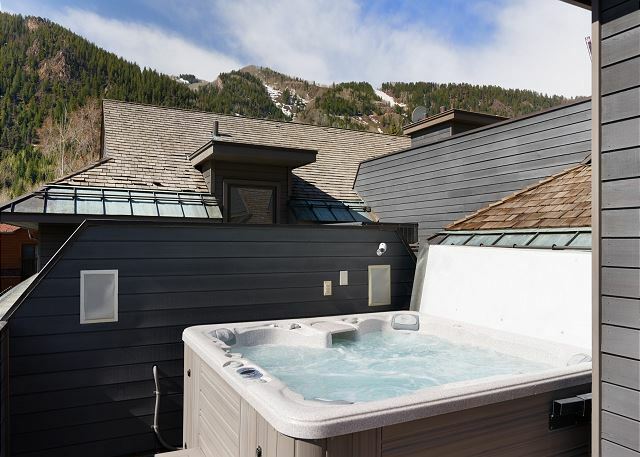 Enjoy a soak in the hot tub on the rooftop deck after a day of skiing. 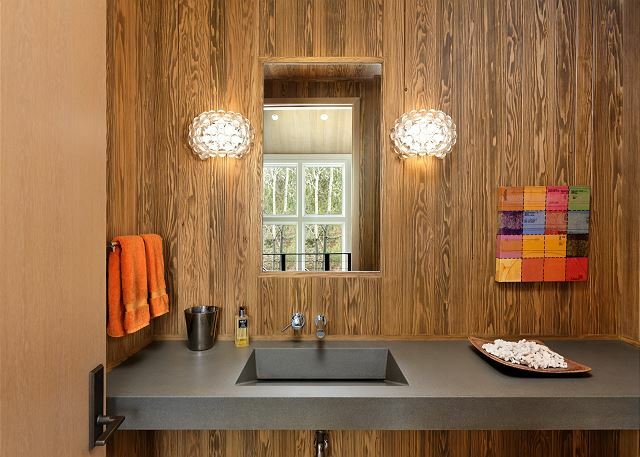 The entry level of the home includes flagstone flooring and floating glass tale upon entry. 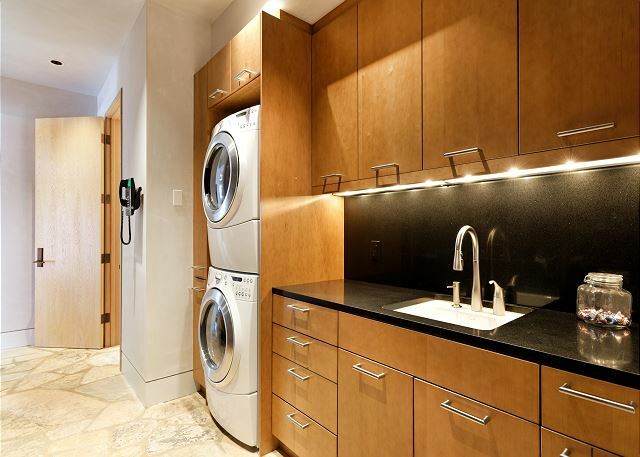 The ample mud room flows from the garage and into the laundry room hidden behind the foyer wall. 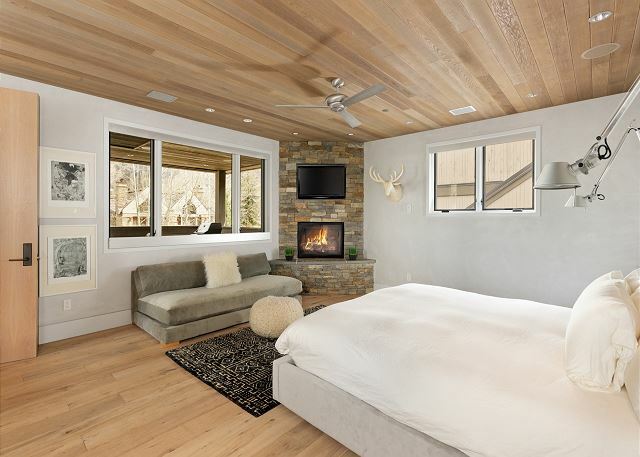 The residence is completed with three additional bedrooms with en suite bathrooms and media room with gas fireplace and flat screen television. Floor Plan: Top level includes open living room with kitchen and dining rooms, powder room, master suite, patio and access to rooftop deck and hot tub. 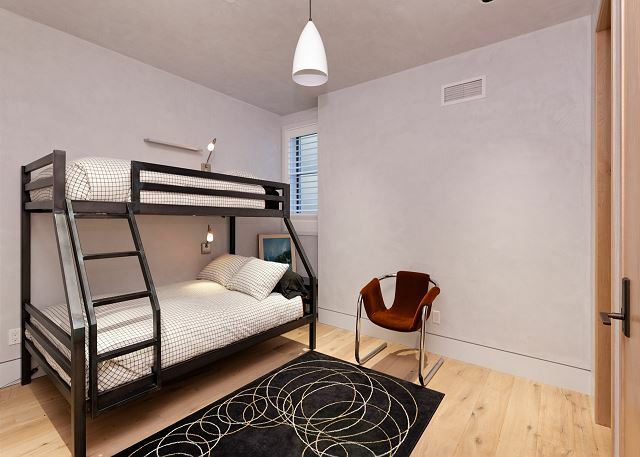 Entry level includes mud room, powder room, guest bedroom, laundry room and garage. Lower level includes two guest bedrooms and media room.